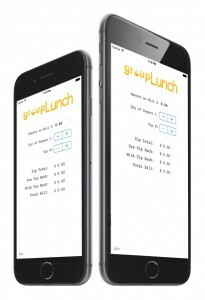 Waaaay back in 2010, I wrote an iPhone app called “Group Lunch.” It’s a really simple and easy to use utility for groups to split the bill and avoid all the usual chaos and mayhem of how much to pay. Versions 1.0 – 1.2 were written in Objective-C. The original app included a custom keyboard with a ‘Done’ button. In iOS 8, the keyboard functionality changed and broke my custom keyboard. With the advent of the Swift programming language, it was clear a rewrite and a fresh start needed to happen. Every team eventually goes to lunch and splits the bill. It seems so simple, right? We’ve all been there. The wait staff dreading the bill split, the pile of credit cards, and anger, distrust and resentment. Group Lunch™ is a iOS app who’s beauty is in its simplicity. Dial in the amount, the payers and the tip. Group Lunch™ does the rest!